Amazon is offering the well-reviewed BESTEK 300W Power Inverter for just $18 when you use promo code A893NO8Y. Charging your iPhone or iPad in the car doesn’t require much more than your typical dual USB port car charger. However, if you’re looking to juice up bigger devices, like say a laptop or even the larger iPad Pro, then a power inverter is exactly what you need. 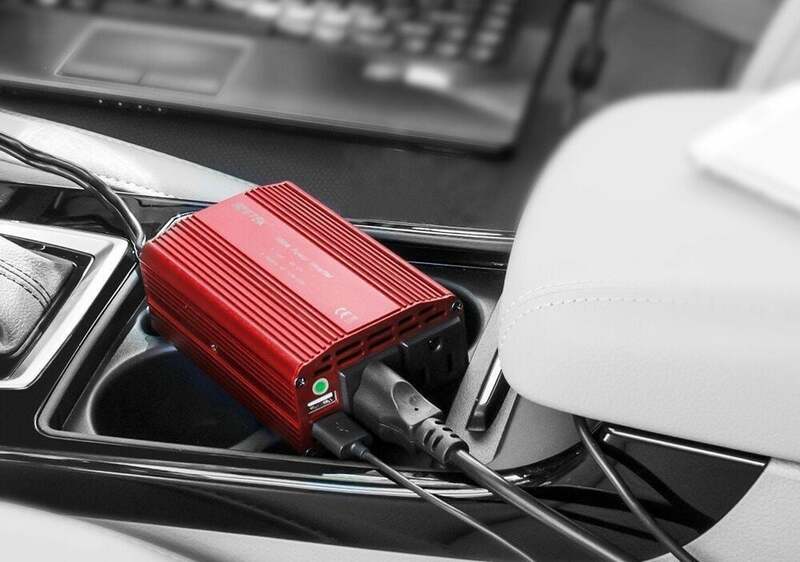 This particular power inverter from Bistek provides two 110V AC outlets, each capable of charging up devices such as your laptop while on the go. It comes with a 24-inch wire that goes directly into your cigarette lighter which means this will work in pretty much any car. I’m so impressed with this product. It was all that I hoped it would be. The 2 foot power cord allowed us to plug the unit into the front seat cigarette lighter and easily place the unit in the backseat area. It provided ample charging power for 2 computers being used at the same time. Pretty awesome, right? To get it for $18, just make sure you use the promo code A893NO8Y at checkout. Enjoy!